Experience the intimate beauty of Uruguay, where the people are warm and the land is welcoming. Uruguay offers picturesque scenery of beaches, dunes, and large lagoons. Experience the intimate beauty of Uruguay, where the people are warm and the land is welcoming. You'll enjoy getting to know the people of this small but unique country! ¡Bienvenido! Experience the enchanting beauty of this South American country, a land of adventures where you'll enjoy meeting new people, understanding a rich culture, learning about remarkable artistic traditions, and participating in various outdoor activities and sports! Whether spent discussing Uruguayan culture with your welcoming host family and friends, or marveling at the beauty of the Maldonado Bay, your time in Uruguay will be enriching! During your stay, you'll notice Uruguayan families live simple, orderly, and uncluttered lives. As in most Latin American countries, family ties are strong and parents tend to have close-knit relationships. Apart from learning about and experiencing the Uruguayan family life, you'll also have the chance to enjoy the country's delicious cuisine. The Uruguayan diet includes a vast variety of foods such as fish, chicken, pork, beef, fruits, and vegetables. Appetizers and snacks consist of pascualinas (spinach pies), media lunas mixtas (croissants with cheese and ham), and húngaros (spicy sausages). Uruguayans’ commitment to education is quite impressive, as they have a phenomenally high enrollment rate in schools. It is also globally acknowledged that the education in Uruguay is of high quality, with excellent schools and well trained teachers. Like many other educational systems, school is compulsory for nine years in Uruguay, with any higher education following being optional. Rest assured that attending school is just one of the many things that you will do during your stay in Uruguay. You will have many opportunities to have fun and participate in a wide variety of exciting activities with your friends such as fútbol (soccer), volleyball, basketball, and swimming. If sports are not your thing, but you still want to experience other types of entertainment, you can go to the movies or theatres, attend fascinating festivals, and even take a relaxing trip to the beach! With interesting cultural events such as the 'Festival of the Tango Culture' and the 'Uruguay International Film Festival,' you're bound to be immersed and captivated by the country's unique and enthralling traditions! 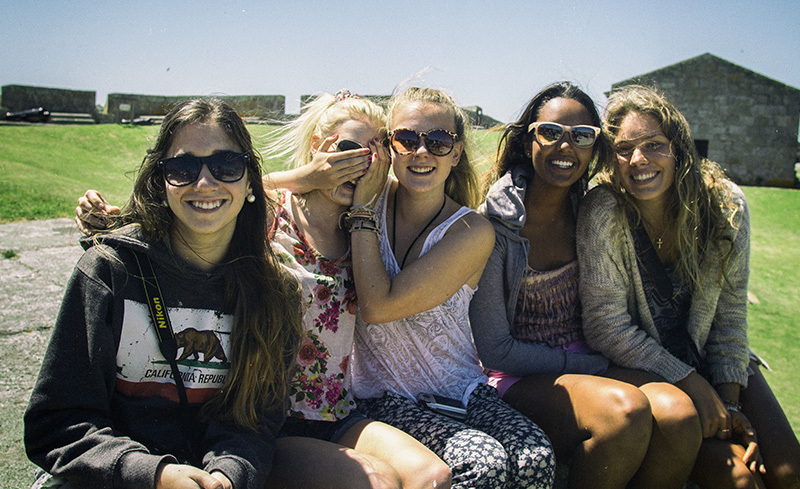 The memories you make in Uruguay will undoubtedly stay with you for a lifetime. If the rich cultural experience of studying in Uruguay sounds like the right choice for you, apply today! Information regarding residence permits, visas and other immigration processes will be provided upon enrollment. Note: Optional trips to Argentina will also require a visa. Program tuition does not include personal spending money or funds for textbooks, uniforms, extracurricular activities, or transportation to and from school. As a student, you will choose a track of studies such as biology, science, humanities, or liberal arts. Courses within the tracks are generally compulsory. School placement in a private school is possible, and students may be required to wear a uniform. Expectations of students it high, so it will be very important for students to take studies seriously. All students will attend an intensive 2 week language course after arrival in Montevideo. With 80 hours of language training, this is especially helpful for students with no prior knowledge of Spanish. All students will take a Spanish as a Second Language course, consisting of up to 40 hours of lessons throughout the exchange experience, included in the program tuition. Students will be placed in an appropriate level based on a language test prior to arrival. At the end of the program, students can take a final exam in Spanish designed by a certified language academy. All students applying for the semester or year program must be available for a mandatory 3-day National Pre-Departure Orientation, which usually takes place in mid-July. This orientation is a required part of the program aimed at preparing students for their experience overseas. All students will participate in a one-day local pre-departure orientation in May or June. Upon arrival, students attend a four-day orientation where they learn more about life in Uruguay and work on their language skills. To kick off the program, students also attend an intensive Spanish language course, from which they receive a certificate of completion from YFU and a final grade. Year students participate in a mid-year orientation, and all students will participate in a three-day re-entry orientation in order to reflect on their experiences and prepare for reverse culture shock. Uruguayan schools rarely offer extracurricular activities. However, YFU students are encouraged to get involved in their communities by joining local clubs, teams, art institutes, and other activities in their towns. October: A weekend visit to Crows' Creek to enjoy nature and bird watching in the park, with organized recreational activities. November: A 3-day weekend to the hot springs in Salto, with organized recreational activities and stays in cabins. 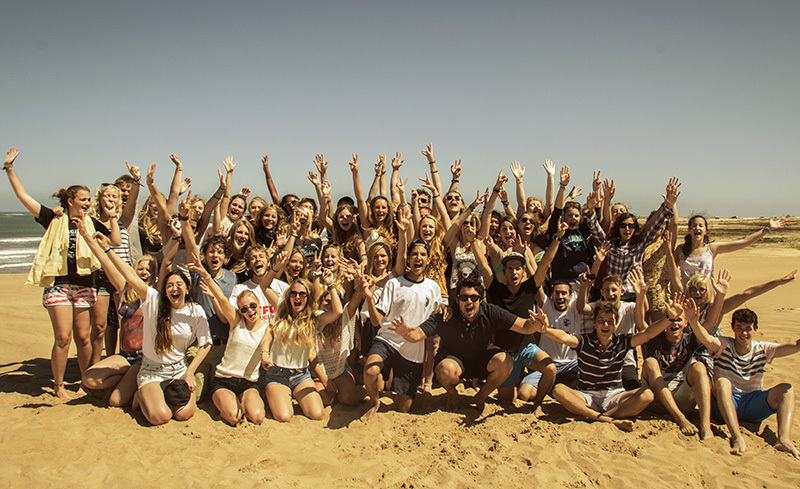 December: A 6-day YFU summer camp in La Paloma, visiting seaside nature resorts, touring a castle and lighthouse, and enjoying the spectacular beaches. February: A 6-day trip to Iguaçu Falls, one of the world wonders on the border with Argentina and Brazil. Participate in eco-adventure activities like rappelling, hiking, bird-watching, and canoeing or experience a dinner show and attend a festival. February: A 6-day trip to Córdoba Highlands with an outdoor adventure camp and activities. May: A 5-day trip to Colonia and Buenos Aires, with guided city tours, museum visits, and historical sightseeing. Take a ferry between the two cities and stay in a hotel. More information about all of these optional cultural expeditions will be offered at the arrival orientation in Uruguay. 2019 Spring departure: December 31, 2000 - January 1, 2004. 2019 Fall departure: April 1, 2001 - July 31, 2004. 2019 Summer Program: April 1, 2001 - July 31, 2004. Students who do not meet the age requirements or will graduate from high school before the start of their program will be considered for admission on a case-by-case basis. Spanish. Previous language study is not required. Summer Program students will attend a 5 week Spanish as a second language course with 100 hours of class and have the option to receive a certificate. Year and Semester Program students will take an 80 hour intensive Spanish course for 2 weeks after their arrival in Montevideo as well as up to 40 hours of lessons during their program. All students are placed with host families who speak Spanish, though families in the north may also speak Portuñol. Summer Program students will be placed with families in the greater Montevideo area. Year and Semester exchange students may be placed throughout Uruguay in small cities (up to 30,000 people), medium-sized cities (31,000-125,000 people), and the countryside, with occasional placements in metropolitan areas. Family life is very important in Uruguay! On this summer program (which is actually winter in Uruguay), students live with a local volunteer host family in metropolitan Montevideo and immerse themselves in Uruguay's unique culture. After a 2 day arrival orientation, students are enrolled in a Spanish language course according to their level at Academia Uruguay for 5 weeks. During the final week, students will get a chance to put their Spanish to the test by visiting to a local high school in Montevideo. 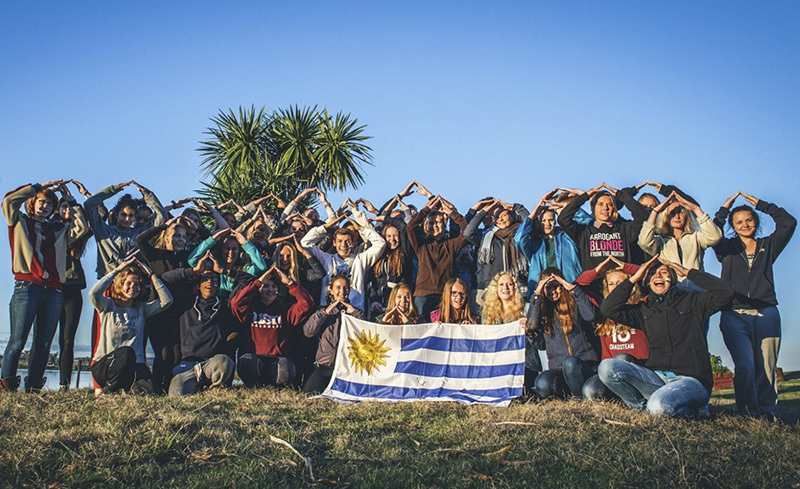 YFU Uruguay also organizes optional cultural activities that have included visiting a traditional ranch, attending carnivals and football matches, and experiencing all that Uruguayan culture has to offer!